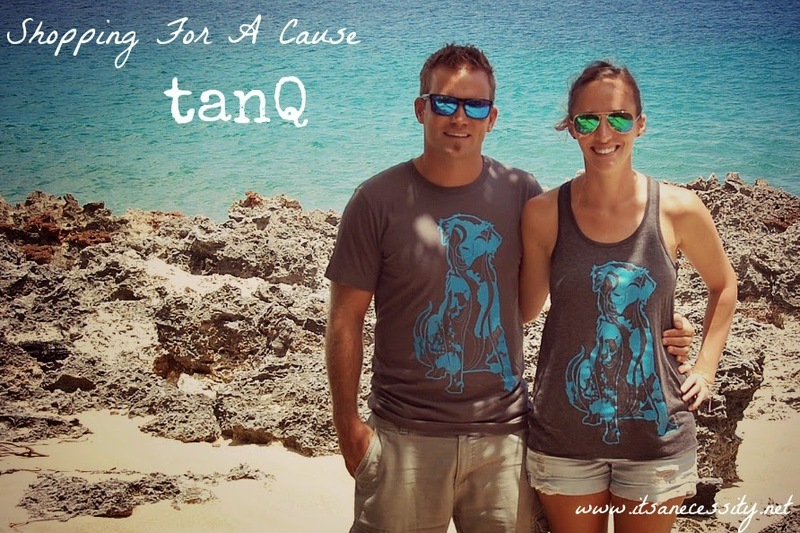 Continuing on with my mini-series about Shopping For A Cause, which is about all the great companies out there that are creating apparel and accessories to make us look good, but are also using their profits to do good, this week’s social enterprise that I wanted to highlight is tanQ. Their slogan explains them well, “1 tee, 1 month, 1 good deed”. Judy Tan had a successful and established career, designing apparel for some big wig companies, but she still found herself unsatisfied and unhappy. But when she took a step back, her life problems seamed meagre in comparison to what other less fortunate people were facing in the world. She wasn’t homeless, or starving, or sick. The more she focused on these things the more she wanted to be thankful and create a change in this world. She did so by creating tanQ. Every month tanQ choses one organization that they wish to help with their fundraising endeavours. They choose organizations that they believe in, as well as trying to time their choices with whatever the monthly charity fundraising is (ie. September is Cancer month so they supported a cancer related charity). Tan then designs a shirt to reflect the mission of the non-profit, and 100% of the net profit is then given to the chosen group. All of her work, and that of her “co-workers” is purely volunteer or donated. They are just really cool and doing it for the good in it. Judy believes that “Kindness is contagious. The start of tanQ, to bring people together and closer than they have ever been. I hope this humble act will travel like a wave, washing over thousands of people, nudging them towards happiness and charity, like a ripple effect of kindness”. My personal quirk that I love about this enterprise is their name. tanQ, a witty play on words, is a combination of Judy’s last name (Tan) and her middle initial (Q), but also resembles “Thank You”. It makes me smile every time I think of it. It’s smart. But also because Ellia, our littlest, has a hard time pronouncing her “TH” sounds, so her thank you’s come out exactly sounding like “tanQ”. tanQ makes really neat shirts with fun and unique designs. And since they are solely made for the fundraising of one non-profit, once they are sold out, they are out. 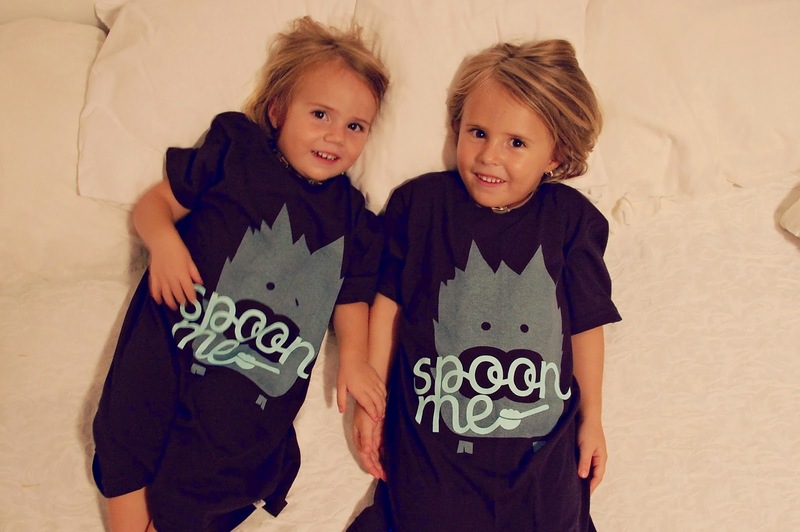 We received their “Go Fetch” tee and tank, supporting Guide Dogs For The Blind, as well as 2 “Spoon Me” tees, supporting the Spoon Foundation, feeding orphaned kids around the world. Their shirts cost no more than you would spend for a regular shirt but the money goes somewhere good. So once again, you have to clothe yourself so why not spend your wardrobe budget somewhere useful. Thank you tanQ for putting the effort in. You guys all look great. Your daughters are ao dang cute it's unbearable! can't wait to see you guys again some day and have all our little ones play together!